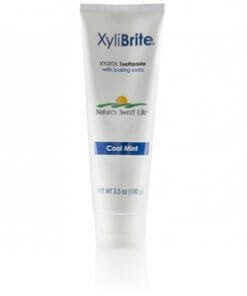 Nature’s Sunshine XyliBrite Toothpaste contains a team of ingredients to treat your teeth right. 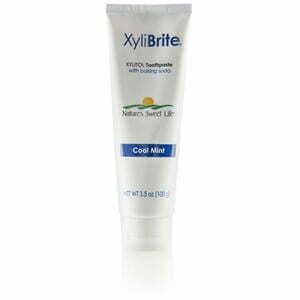 The xylitol in XyliBrite Toothpaste may help create an unfriendly environment for harmful bacteria and may improve overall oral health. Baking soda and silica powder act as mild abrasives to clean and polish teeth, leaving them smooth and clean. 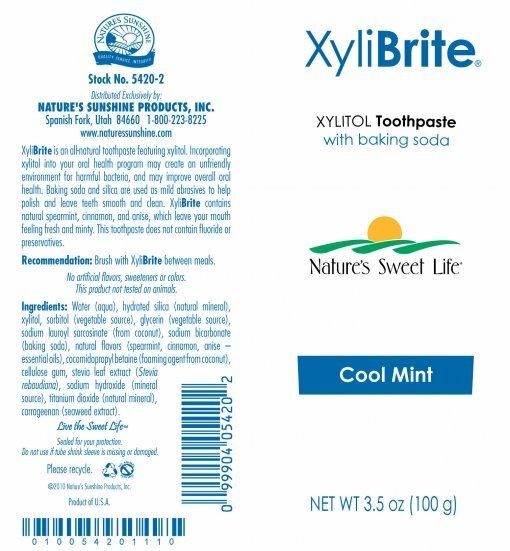 Nature’s Sunshine XyliBrite Toothpaste is flavored with natural spearmint, cinnamon and anise, leaving your mouth fresh and minty. Instructions: Brush with XyliBrite between meals.